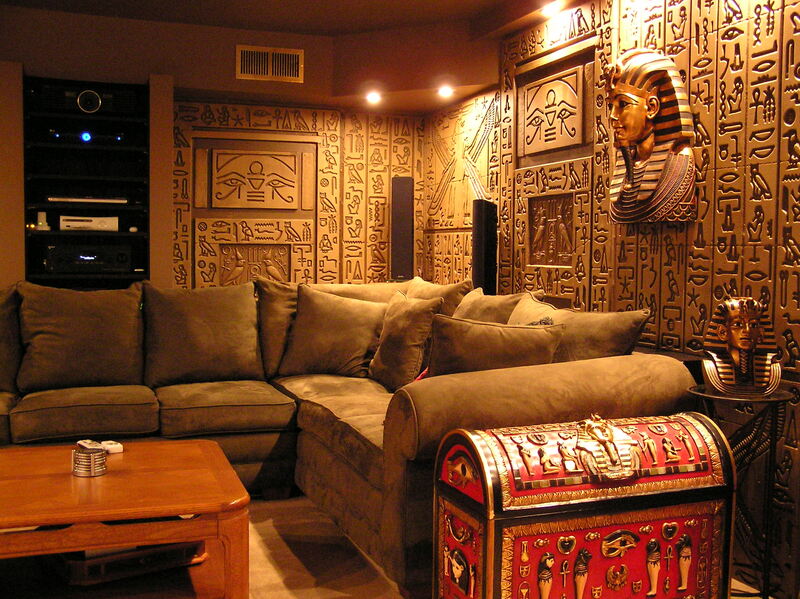 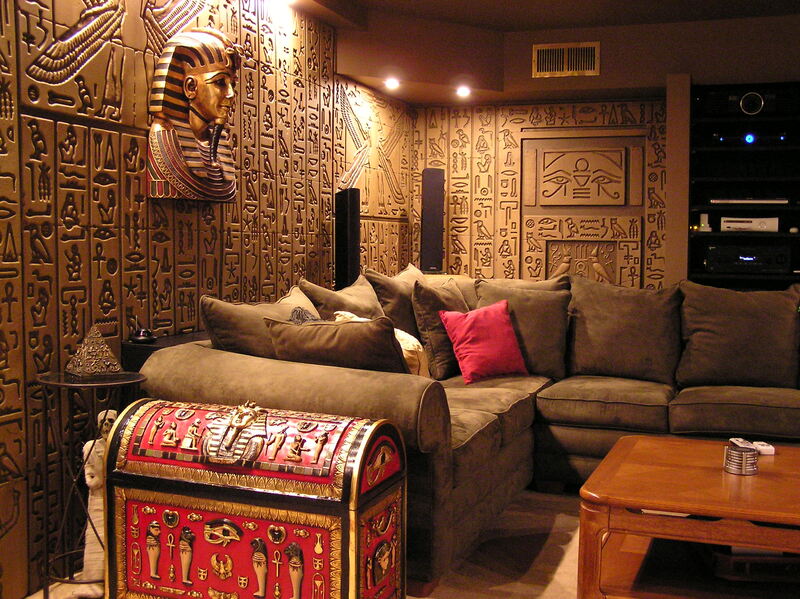 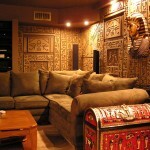 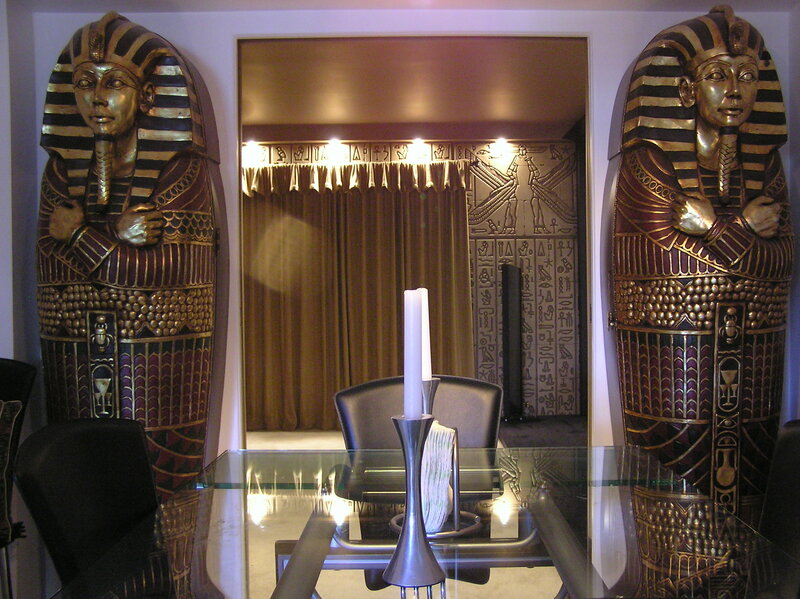 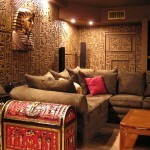 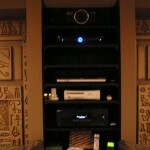 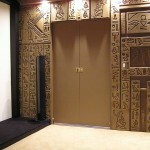 This is my Egyptian Tomb Home Theater. 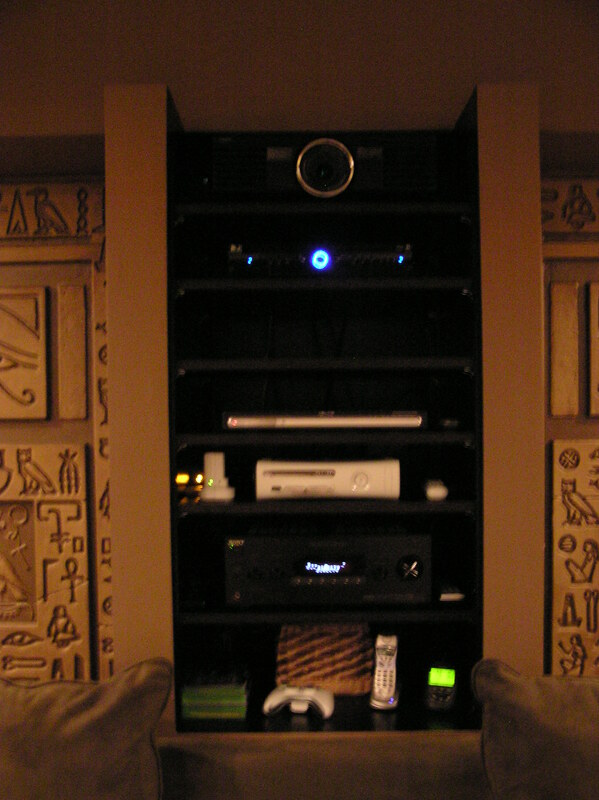 I had been working on this for about a 1 1/2 years on and off. 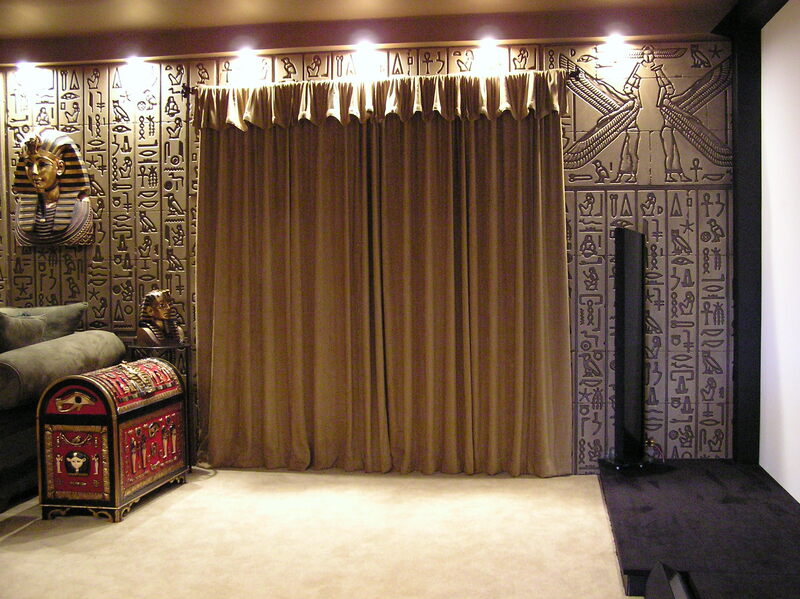 It was finally finished in late 2008. 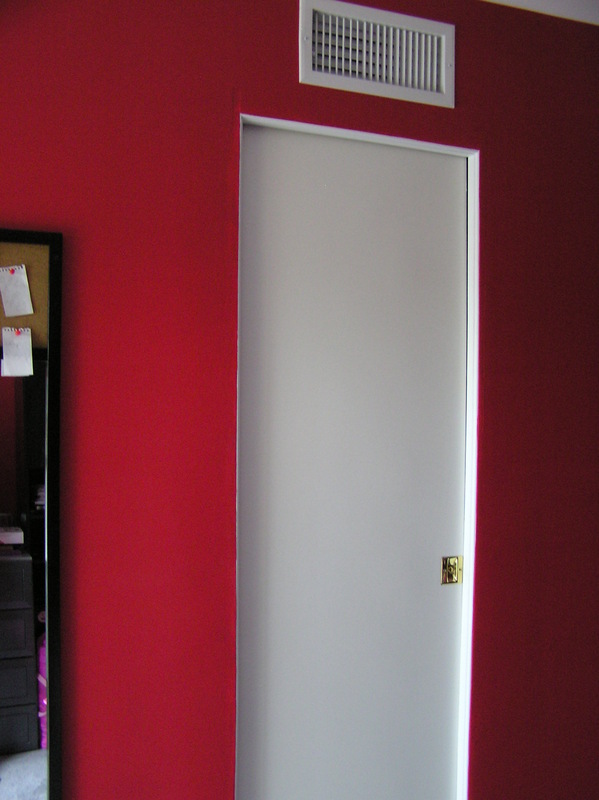 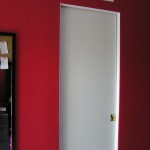 I tried to be cost effective (Cheap) as well as wanted things to look good. 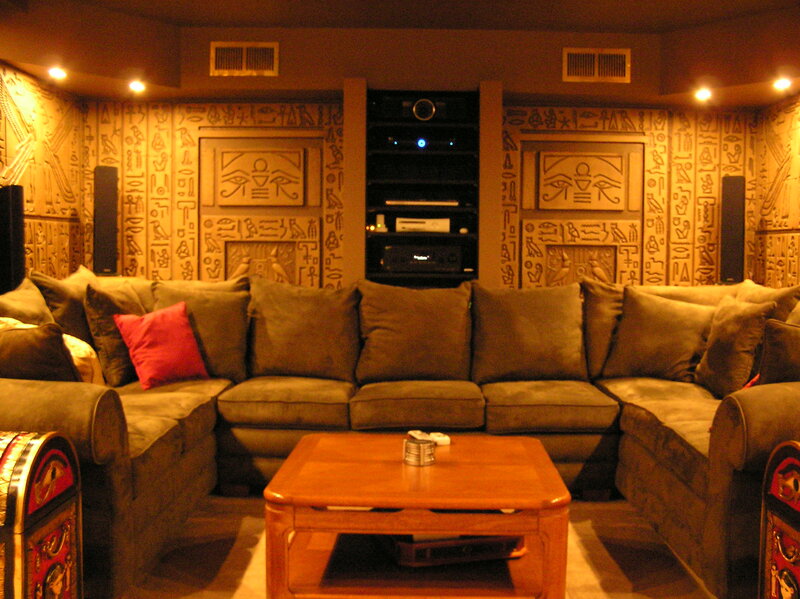 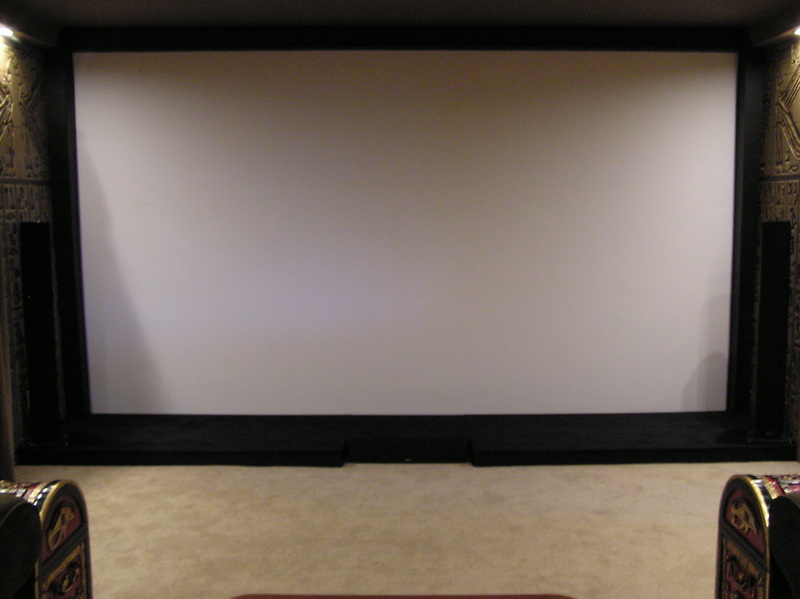 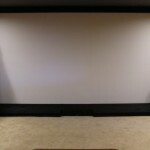 It is a general purpose Home Theater for my family. 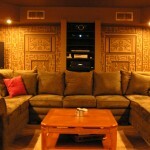 Seating is a giant “U” shaped couch so my kids can be close during family time and for playing games on XBOX 360. 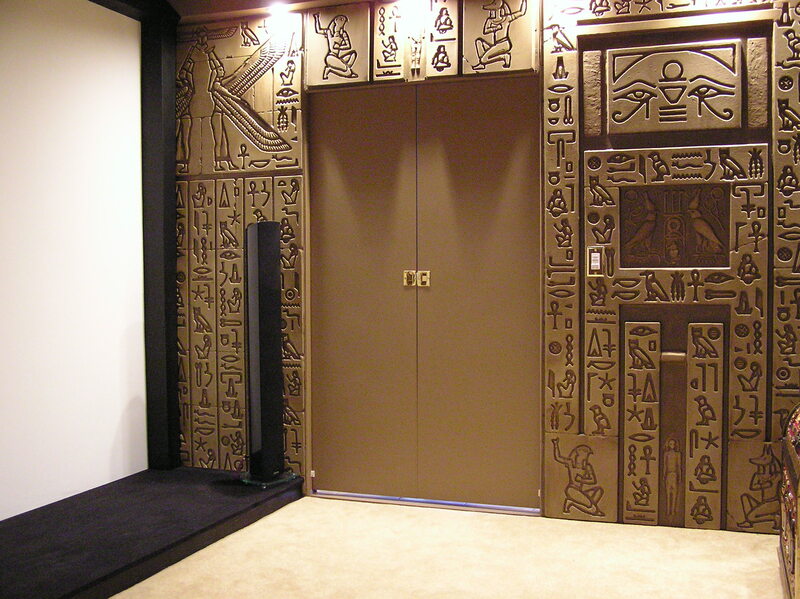 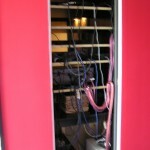 The Audio Rack has a pocket door on the rear that is accessed from the room behind the theater. 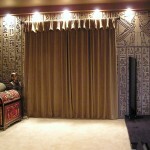 The Drapes that are in front of the Patio door have Magnetic Black Out Drapes behind them. 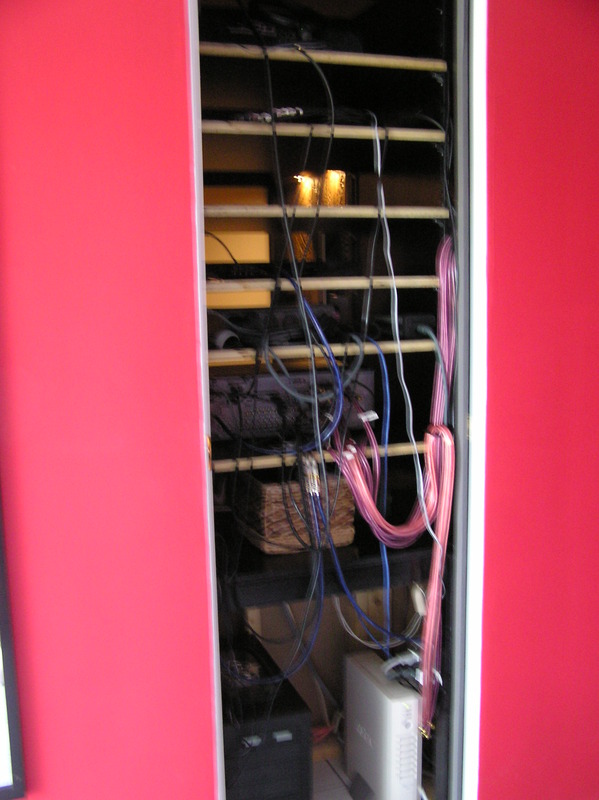 No light gets in during the day.